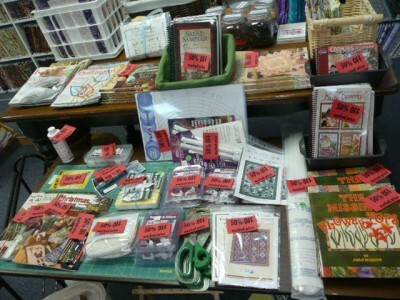 Snapshots of Savings on our last (and best) sale day yet! Sat. 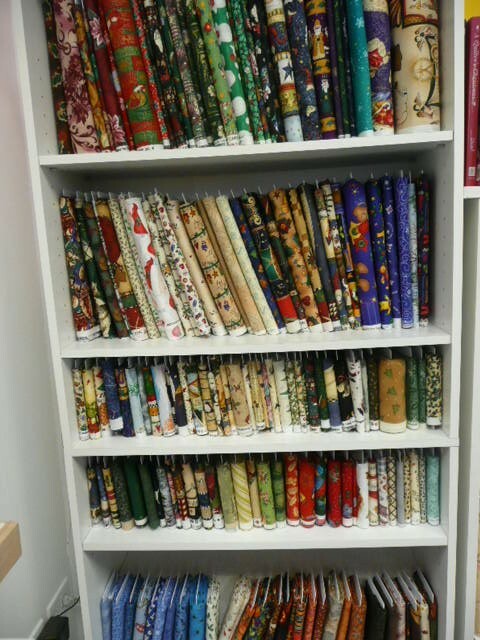 10/13 – Wooden Spools...Quilting, Knitting and More! 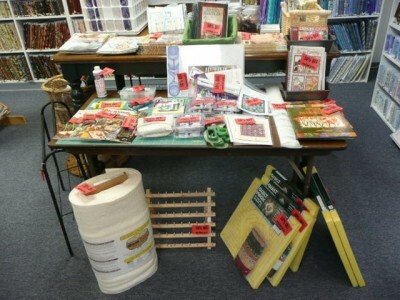 Welcome to Wooden Spools' Online Store! 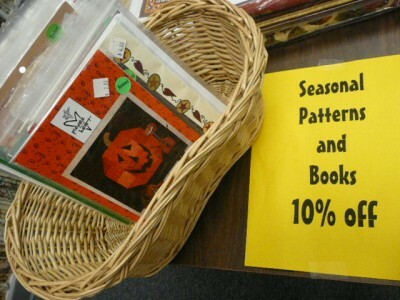 Christmas, Thanksgiving, Halloween Books and Patterns 10% off! 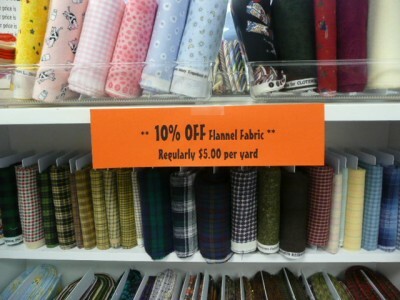 Huge assortment of Quilt Shop Quality Flannel @ $4.50 per yard! Stella! 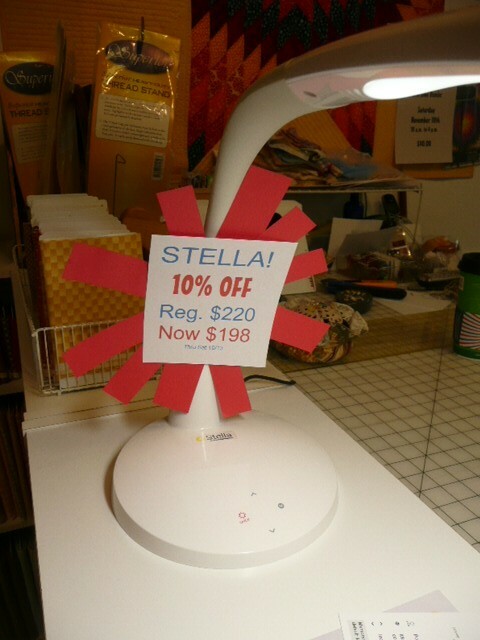 So - your family doesn't know what to get you for your birthday, Christmas, etc..... Stella is an amazing new product - PERFECT for sewing, knitting, any type of work that you need ideal light for - it's LED - no bulb replacements - ever! 3 spectrums of light - 5 settings within each! 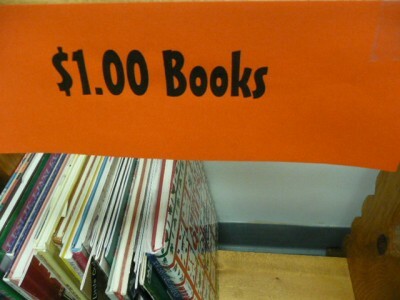 Today - ONLY - 10% off. Stella is $220 - and today - only $198. Takes the ott lite concept to a whole new level! Come in and try Stella! 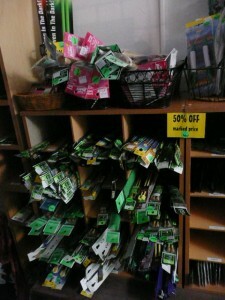 All REVIVED Knitting needles are 50% off of our normal 50% off of retail price!!!! Silk and Silk Blend Yarn - most in this photo are the absolutely amazing yarns of Alchemy - you won't believe these vibrant colors! 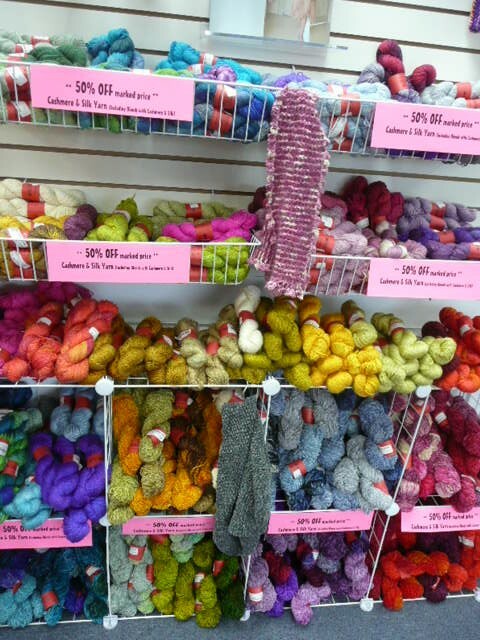 There is still a nice selection of 100% cashmere yarn at 75% OFF MSRP!!!! Our new star, Mystikal, come in and say HI! 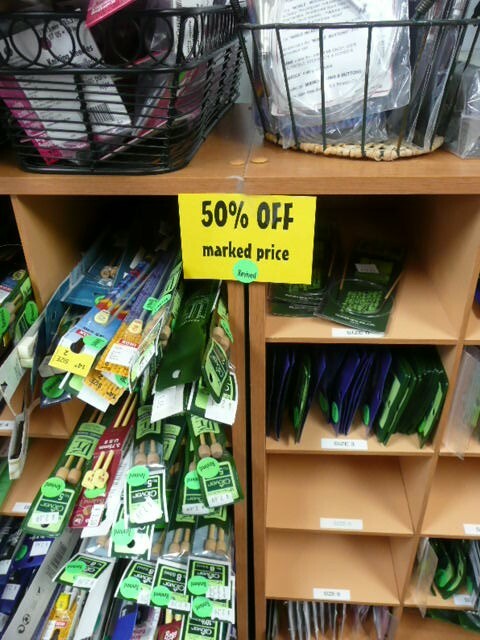 LOTS and LOTS of 50% off items! 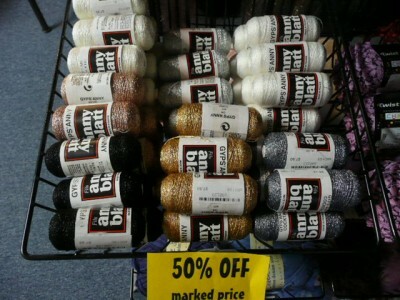 Need some glitz for your New Year's knitz? 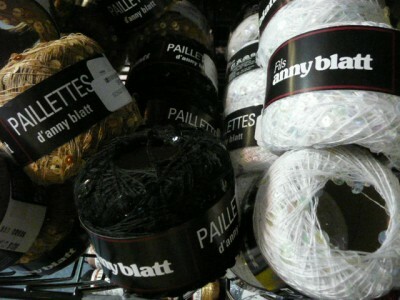 Anny Blatt Paillettes (sequin yarn) is 50% off! "Gyps d'Anny" works up as a terrific, rayon-blend companion yarn. Its multi strands loosely entwined give you metallic glitter wherever you crave it most. Give whatever you are creating some extra glitz! 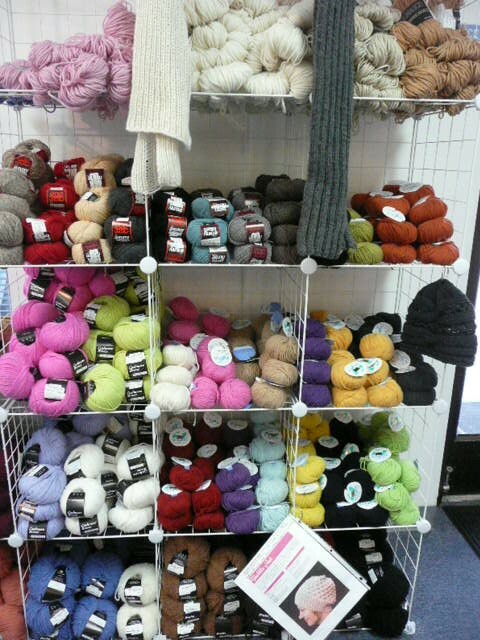 Based in Englewood, Colorado, Wooden Spools is a seller of quality yarn, fabric, and notions for quilters, knitters, and crocheters. Independently owned & operated, Wooden Spools takes great pride in providing top notch customer service to our local customers as well as our online community. In the Denver, Colorado area? 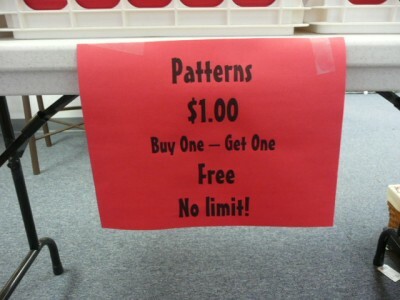 Check out retail store page for store offers, classes, and events.